Pack your baggage and join this exciting 2 -day safari holiday in Tanzania! During this safari, you will go on extensive game drives in lake Manyara National Park and Ngorongoro Crater, you will have the opportunity to spot wildlife in their natural habitat and explore the magnificent Tanzanian national parks. 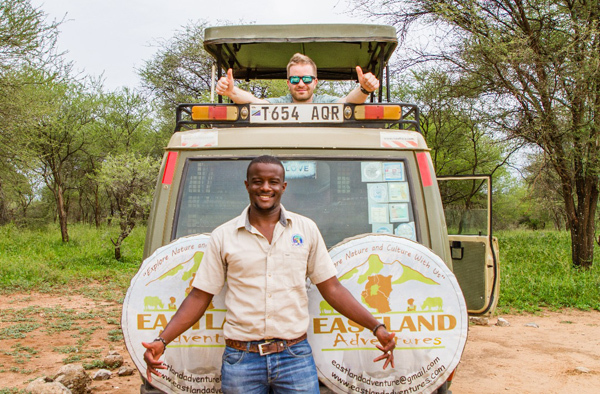 Meet our professional tours guide in Moshi/Arusha, who will deliver a short safari info briefing, after which, we travel to the Lake Manyara National Park. We arrive in time for lunch at the lodge. After lunch we head into the Lake Manyara National Park. This impressive park is one of Tanzania’s most dramatically located wildlife areas, consisting of a massive but shallow soda lake (covering two-thirds of the park) at the foot of the Great Rift Valley’s western escarpment. The park’s varied habitat attracts a wide variety of animals, including one of Africa’s largest concentrations of elephants, Manyara’s famous tree-climbing lions, as well as large flocks of flamingos attracted by the algae in the lake. After breakfast we descend 600m into this magnificent crater for a morning, half-day game drive. The Ngorongoro Crater is one of the most densely crowded African wildlife areas in the world and is home to an estimated 30,000 animals including some of Tanzania’s last remaining black rhino. Supported by a year round water supply and fodder, the Ngorongoro crater supports a vast variety of animals, which include herds of wildebeest, zebra, buffalo, eland, warthog, hippo, and giant African elephants. Another big draw card to this picturesque area is the dense population of predators, which include lions, hyenas, jackals, cheetahs and the ever-elusive leopard, which sometimes requires a trained eye to spot. We will enjoy a picnic lunch in the crater, after which we travel back to Moshi where we will end our African safari adventure. You will be taken to your hotel, which ends our safari packages services.